This is a fun one for many reasons. We picked both of these teams to be eliminated in Round One. Nice job, we know! Both of these clubs play a stifling defensive system, with the optional capability of sending their top talent out to light up the scoreboard. Both goaltenders Roloson and Neuvirth were exceptional in Round One, so this series will boil down to the team that executes their chances best. Conventional wisdom says go with the Capitals who were 4-1-1 against Tampa in the regular season, but we are terrible at this, so we are inclined to take the Lightning here. In an effort to reverse the trend, we will go against our pick and pick the obvious. Confused? Don't worry, we are more so. Hockey Plumber Prediction: Capitals in seven. 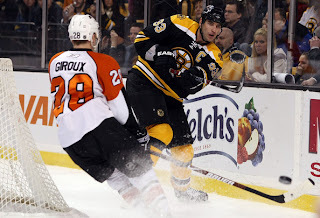 Last season Philly was responsible for an epic series comeback on these same Bruins after spotting them a 0-3 game lead. Will Beantown get it's revenge? Danny Briere and Claude Giroux were amazing against Buffalo, but their three-headed goaltending trio was hit and miss. The Bruins found a different offensive hero in every victory against hated rival Montreal, as Tim Thomas was a stalwart in net every game. We were not impressed by the overall play of Philly against an inferior Buffalo team. 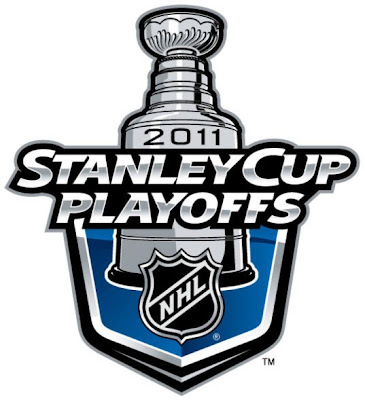 they will have to tighten up defensively or the Bruins will expose them badly in this round. Boston will have to strike on the power play if they have any hope of moving on. Even if the games aren't good (very unlikely) just imagine the pregame rants by Jack Edwards on what Mike Richards said to the media the night before! Hockey Plumber Prediction: Bruins in six. The West features the same seed pairings as the East. Strange? We nearly witnessed a total collapse by the Canucks in Round One. The defending Cup champion Chicago roared back, forcing a Game Seven OT with less than two minutes on the clock. 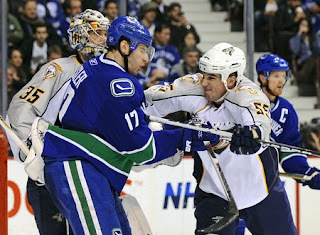 Although Vancouver punched in a winner, you may expect a bit of a letdown to start the series with Nashville, right? Considering how dominant they were at the beginning of the last round, Vancouver will come out blazing. Nashville found a way past Anaheim, despite a lackluster performance by goaltender Pekka Rinne. We just can't see it happening, since Vancouver has more firepower, and the Predators benefited from playing against the Ducks backup netminders. Hockey Plumber Prediction: Canucks in five. Another rematch from last spring, when the Sharks whizzed past Detroit in five games. Early round exits seem a thing of the past for San Jose. Looking back at Round One: The Wings trounced Phoenix every way possible, and we didn't like the way that San Jose seemed to labor unnecessarily against the Kings. The goaltending matchup could be interesting as you can't always count on Niemi or Howard to steal games. 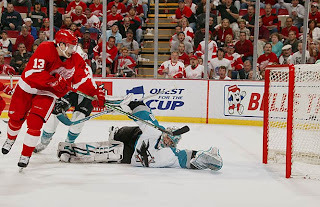 We were much more impressed with Datsyuk and Co., than Thornton's crew. Add Zetterberg back into the lineup and we like them that much more. Hockey Plumber Prediction: Wings in six.